Riverpark Real Estate in Oxnard CA Market Update as of December 6, 2013. There is currently 16 Riverpark Homes For Sale in Oxnard CA. 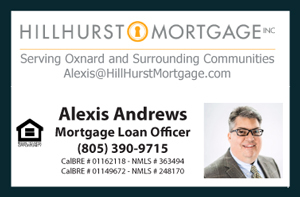 There has been a total of 34 Properties Sold in this community as of (6/9/2013 or after) according to the Ventura County Multiple Listing Service, 61% of the Sold Inventory is comprised of 3 Bedroom units with average square feet of 1,631. The average Sold Price for the 3 Bedroom units is $305,600 with average days on the market (DOM) of 72. Based on this information we may observe an increase of prices. In this case we are based on the current List Price of a 3 Bedroom unit which is $341,345 compared to it's average Sold Price of $305,600: $36,345 increase difference. Equal Opportunity Housing * All information deemed reliable, but not guaranteed. Only one unit currently For Sale with 2 Bedrooms Listed at $298,000. Property Details 3 Beds, 3 Baths, 1339 Sqft.